Interconnection of devices and humans through wireless communication networks introduced a concept of smart environment. European Union actively accepted concept of IoT and is on the path to become a potential market for internet of things (IoT) business. Ongoing trend of cloud computing, big data analytics and internet of things (IoT) are bringing considerable change in European market. 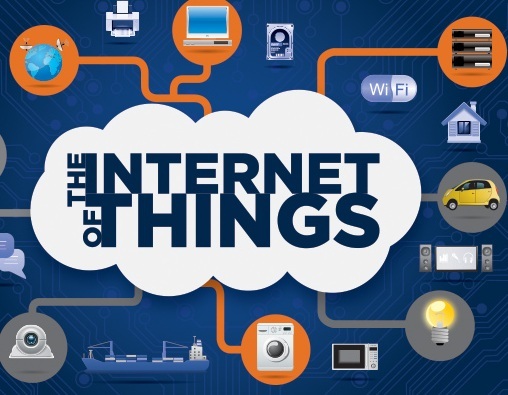 High internet penetration and investment in hardware and infrastructure by European Commission are constructing potential market for IoT in Europe. In 2015, to support the internet driven environment, European Commission has launched Association named Alliance for Internet of Things Innovation (AIOTI) which is one of the largest European IoT associations. Russia and Germany are more inclined towards the acceptance of new gadgets. Russian market contributes huge demand for hi tech wearable whereas Germany accounted for high adoption rate of health monitoring devices and fitness tracker. Moreover, rising internet penetration and demand of smartphones in Europe are boosting the growth of IoT market in the region. The IoT market for Europe is expected to reach USD 432.80 billion in 2024 from USD 108.7 billion in 2016. The Europe IoT market is estimated to grow at remarkable CAGR of 18.32% during the forecast period. Germany is has the largest IoT software market as compared to other European countries. In 2015, 31% of total revenue generated from IoT in Europe is occupied by software segment. Complexity in digital infrastructure has increased the demand of security and data management software in Europe. Data management and security software is expected to grow at a CAGR of 19.17% and 22.00% during the forecast period. Europe has high adoption of IoT technology in aviation, utilities, production and transportation industry. France government is investing in achieving excellent infrastructures and is focusing on using renewable energy fuel whereas Swedish government is spending on medicine and bioscience. Consumer electronics segment is anticipated to attain value of USD 113 billion in 2024, growing at a CAGR of 18.73% during the forecast period. Implementation of IoT in fleet management and asset tracking is hugely impacting the Europe transportation industry. Transportation and logistics segment is estimated to capture 23% of total revenue of IoT in Europe over the forecast period. Industrial automation has reduced the operating cost and increased the production of the manufacturing industry. Retail and digital marketing is majorly driving the economic development of Europe. U.K. occupies the largest share in IoT in retail industry in Europe. Healthcare and agriculture sector is also expected to grow at a healthy rate during the forecast period. Innovative and advanced technologies are hugely impacting the industrial and public sector of European Union which is bolstering the growth of IoT devices and services in Europe. Increasing penetration of smart phone and rising demand of smart phone sensors, wearable and automotive sensors are fuelling the expansion of sensors & actuators market. Advanced infrastructure, efficient and cost-effectiveness of cloud computing solutions is the major boosting factor for the high adoption rate of IoT based platforms in Europe region. Privacy is the main concern which is inhibiting the market expansion of IoT in Europe. Combination of physical and virtual environment increases the risk of accessing and illegal use of data. Due to less human interaction risk of hacking or data violation increases. This is the major factor which is prohibiting the adoption of IoT in many European countries. Consumer sentiments related with liability of IoT devices are inhibiting the growth of Europe IoT market. Although over 80% of enterprises are assuring for security with the deployment of IoT, however people are not confident that their data are secured is restricting IoT business expansion in the region.